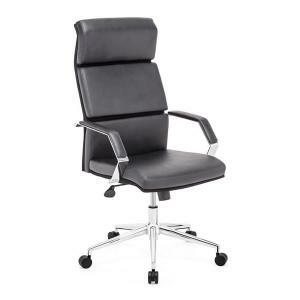 This is a nice executive office chair with comfort and work in mind. 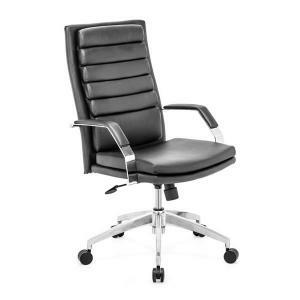 The Dean High Back Office Chair has a leatherette upholstered seat and back with comfortable cushions and solid steel frame - arms are padded. There is a height and tilt adjustment with a 5 point chromed steel rolling base. Great executive work chair. W21.7" x D29" x H42~44", Seat W19.7", SD18.9", SH16~18", Arm H26~28"